I’m going to be straight up with you. 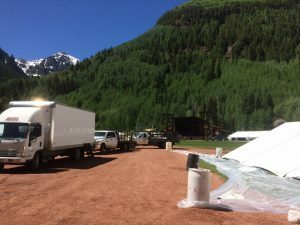 I don’t love bluegrass music, and I have mixed emotions about the upcoming Telluride Bluegrass Festival. I grew up here, and my house is just minutes away from Town Park. Every year, I’m amazed by the way that a horde of tie-dye-wearing festivarians invades my small town. Yes, this might seem antithetical to the festival itself, but there’s actually going to be a ton of great non-bluegrass music this year. On Thursday, deep-voiced country front man Dierks Bentley is playing a set backed by The Travelin’ McCourys. Trust me, even if you’re not a big country fan, you’ve probably heard some of his catchy songs like “Drunk on a Plane.” Brandi Carlile follows Bentley on Thursday night with a set of her bluesy folk-pop. On Friday, Norah Jones comes to town. I’m ready to sway to the jazzy croon of her incredible voice. On Saturday, one of my favorite musicians, Rayland Baxter, plays an early afternoon set. Baxter’s blend of rock and Americana perfectly complements his highly emotional lyrics. Later that night, Dispatch takes the stage, playing what should be a sweet set of acoustic-rock. The fun doesn’t end yet, though. On Sunday, Jason Mraz plays the closing set of the festival. Yes, Jason Mraz, the pop singer famous for “I’m Yours” and “I won’t give up.” It may seem like a weird choice for a bluegrass festival, but I’ll be singing along. At the risk of sounding hypocritical, I’m excited for the people that are coming to town this week. Although the crowds tend to be a bit much for me, there is a plus to the influx of people. Some of my friends from college and elsewhere are currently en route, and I’m stoked to see them all. Beyond that, I’m sure to meet new and interesting people on gondola rides and on the festival grounds. Everybody knows that the music doesn’t end in Town Park; it pervades the entire town. Whether it be on the street, in local restaurants, or around a campfire, people will be jamming together all week long. Though I won’t be playing along, I’m eager to listen. 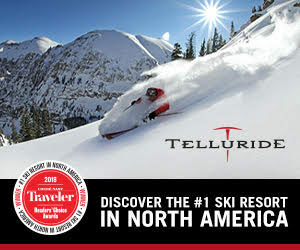 Follow @TellurideMagazine on Instagram for photos of the festival all week long.